The Hytte (pronounced hut!) 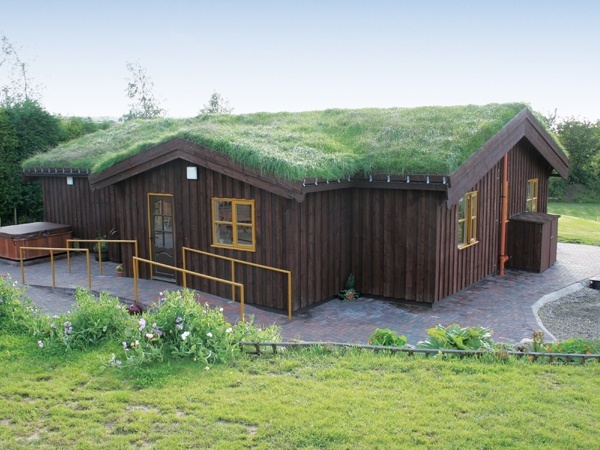 has been built in the style of a Norwegian timber lodge along with a turf roof, environmentally friendly, secluded with spacious gardens, play field, level parking, patio areas and views across open countryside. Sleeps 8 in four comfortable bedrooms, open plan living/dining area with vaulted ceilings, magnificent log burner, wooden floors and cosy under floor heating throughout. Fully fitted kitchen, washer and tumble dryer, fridge/freezer and dishwasher. Level entry shower room and separate bathroom/shower. The Hytte is equipped and furnished to a high standard, linen, towels, heating, sauna and hot-tub are all included. "Slow down, relax, unwind and ease away the pressures of life in this idyllic rural haven"